Pure white cluster bracelet in different shape of beads. Interlaced with a white ribbon to give it a romantic look. 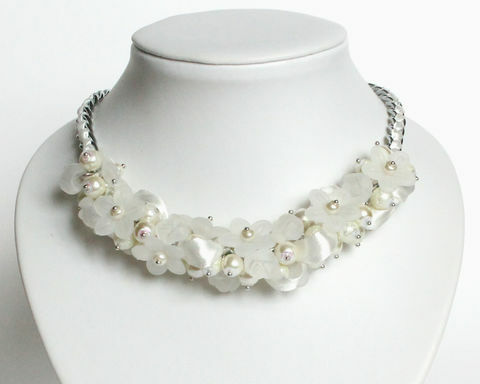 Made of glass pearls and matte white flower beads.